1. 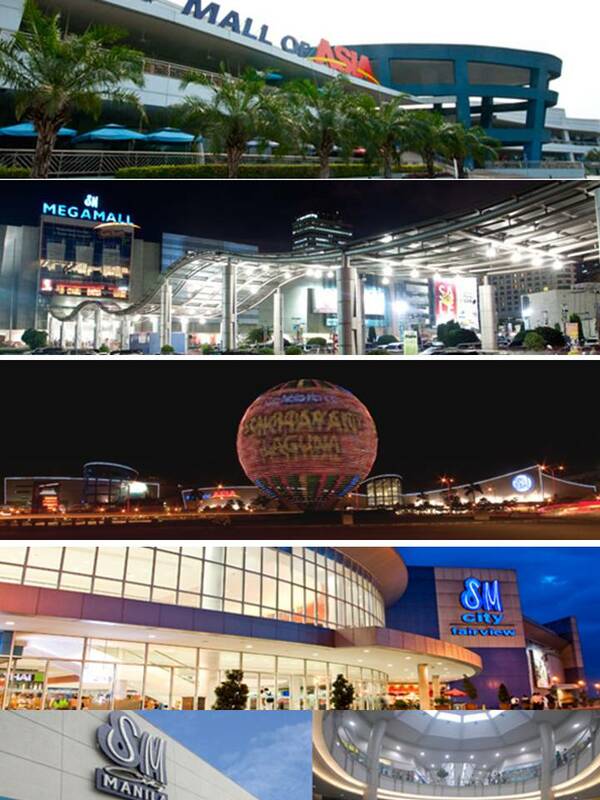 Sy and his family own SM malls and supermarkets, Banco de Oro, Save More and Hypermart, SMDC residential condos, etc. Why do they own and earn so much? This is corporate greed. 2. Many local businesses die instantly when an SM Mall is built in the community, there should be a cap to wealth and greed, and monopolies in various forms should not be allowed. 3. In the Bible, there was the year of Jubilee when the wealth of the rich would be redistributed to the people. I commented that where there are more malls, more high rise condos, whether they are by the Sys or Ayalas or Gokongweis or any other businessmen, there are more jobs, contractual or permanent. Where more people have jobs, there is less dependence -- on government, on family and relatives. It is not good to recommend stoppage of the expansion of those malls that "kill small businesses". Ordinary people who prefer to go to the air-conditioned, well-lighted and clean malls should not be deprived of enjoying such perks if these are available near their areas. Besides, these malls often allot small stalls for micro entrepreneurs. SM and the local mall developers are generally super rich simply because they do not have enough competitors. The Constitution effectively disallows Wallmart, Target, Phoenix, Utama, other huge malls abroad to come in and compete with SM, Robinsons, Ayala and other local malls. The latter are oligopolies, they can be a monopoly in a particular city, like CSI mall is a monopoly in Dagupan City (owned by the family of the city mayor, I think). There are also individual greed or the "poor's greed", an oxymoron. During heavy flooding (most recent was Habagat flooding), trisikads were charging P100 to P200 per person, when the usual rate was P10 to P20. Then there are also politicians and high government officials. One cannot start a simple business unless he/she gets their signatures and such signatures can come at a high price. The Sys may have been very greedy while they give jobs, directly and indirectly, to hundreds of thousands of people. But someone who is "not greedy" but cannot give job to even one needy person may not be helpful either. We can assume that if given the chance, most people would be greedy -- as a government official, as a trisikad driver, as a physician, as a lawyer, as a businessman, and so on. One way to "control the greed" is to have competition in each sector and sub-sector. Greed by mall owners can be tempered by the existence of competing malls, both local and foreign. 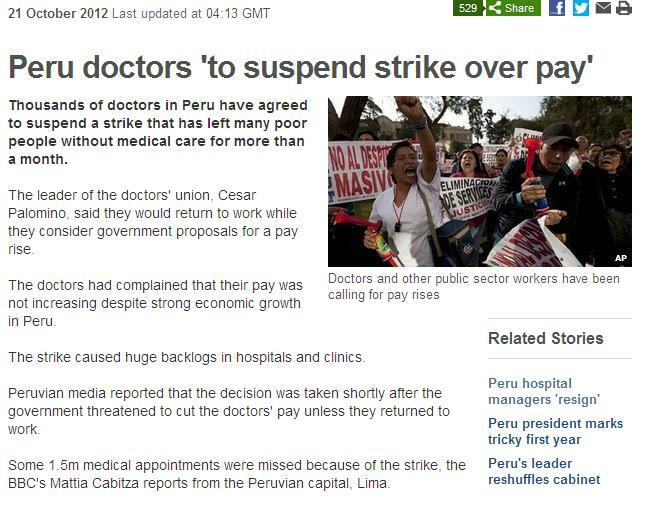 Greed by local physicians can be tempered by the competition of foreign physicians, and so on. Our problem is that we have a Constitution plus local laws that outlaw foreign competition, and so the greed by locals cannot be tempered by other potential players. 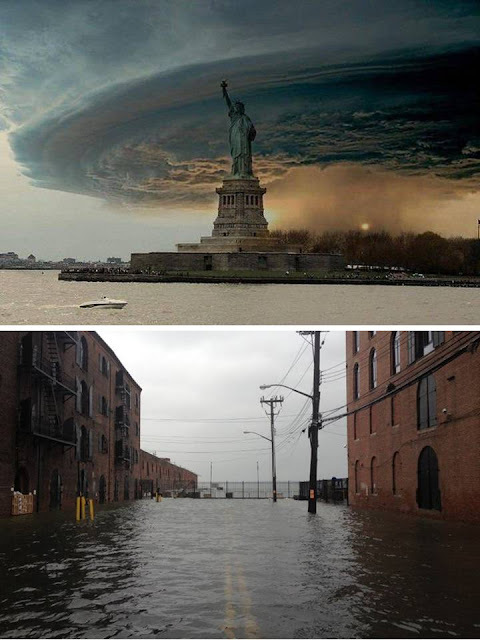 A Filipino friend in the US, Emmanuel Tabones, made his own observations too. He gave me permission to quote him. 1. Class envy and resentment remain big problems in the Philippines. Personally, I am not jealous of anyone's financial success, kahit kung sino. Why should I care if Henry Sy has multiple homes? That's not an example of corporate greed. That's merely his right to spend lawfully earned money as he sees fit...Anyhow, I am doubtful Walmart, Target, Costco, or any big foreign retail chains will choose to compete in the Philippine market because its simply not lucrative, and there's too much corruption. 2. There should be a cap on class envy and resentment....Make it as close to zero as possible. In the Bible, there are two important commandments that people often ignore: the 7th Commandment-Thou shalt not Steal, and the 10th Commandment-Thou shalt not Covet Thy Neighbor's Goods. Any attempt to redistribute other people's possessions/property without their voluntary consent represents a gross violation, even if its done through political means or what is known as legal plunder. There are different causes of poverty, there are different types of the poor, and there are different aspirations by the poor. Thus, “fighting poverty” as if there is only one type of the poor, or as if the poor have only one aspiration, often results in expanding the lot of the poor, or creating new poor. 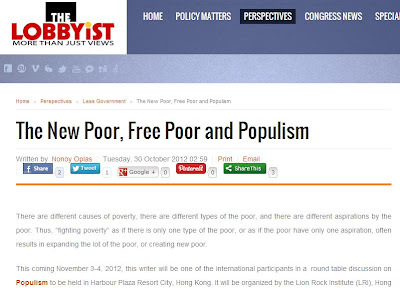 This coming November 3-4, 2012, this writer will be one of the international participants in a round table discussion on Populism to be held in Harbour Plaza Resort City, Hong Kong. 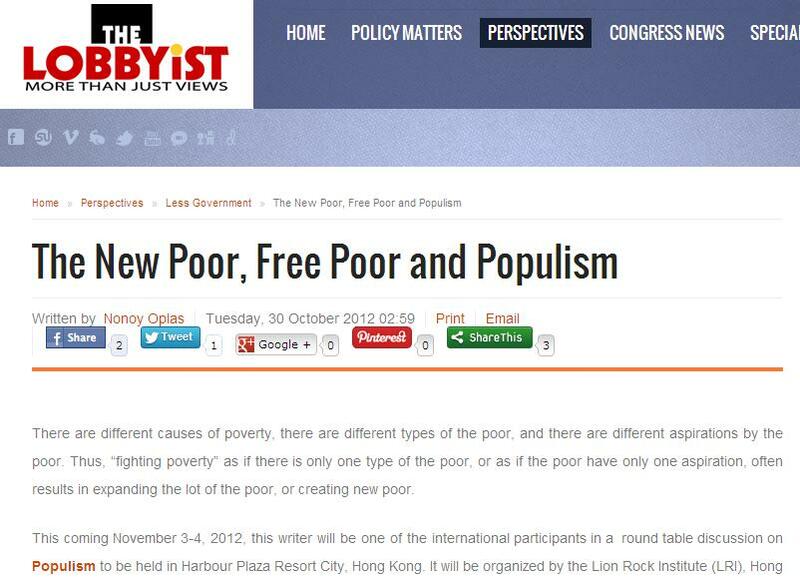 It will be organized by the Lion Rock Institute (LRI), Hong Kong’s first and only free market think tank. There are several thick reading materials that participants must read before attending the round table. Among them is the book The True Believer (NY, Harper and Row, 1951; HarperCollins e-books, 2010) by Eric Hoffer (1902-1983), an American self-educated writer who has published 10 books. Not all who are poor are frustrated. Some of the poor stagnating in the slums of the cities are smug in their decay… It is usually those whose poverty is relatively recent, the “new poor,” who throb with the ferment of frustration. The memory of better things is as fire in their veins. They are the disinherited and dispossessed who respond to every rising mass movement. In Germany and Italy the new poor coming from a ruined middle class formed the chief support of the Nazi and Fascist revolutions. The potential revolutionaries in present-day England are not the workers but the disinherited civil servants and businessmen. The poor on the borderline of starvation live purposeful lives…The goals are concrete and immediate. Every meal is a fulfillment; to go to sleep on a full stomach is a triumph; and every windfall a miracle. What need could they have for “an inspiring super-individual goal which would give meaning and dignity to their lives?” They are immune to the appeal of a mass movement. Misery does not automatically generate discontent, nor is the intensity of discontent directly proportionate to the degree of misery. Discontent is likely to be highest when misery is bearable; when conditions have so improved that an ideal state seems almost within reach. Those who see their lives as spoiled and wasted crave equality and fraternity more than they do freedom. If they clamor for freedom, it is but freedom to establish equality and uniformity. The passion for equality is partly a passion for anonymity: to be one thread of the many which make up a tunic; one thread not distinguishable from the others.No one can then point us out, measure us against others and expose our inferiority. Where freedom is real, equality is the passion of the masses. Where equality is real, freedom is the passion of a small minority. Equality without freedom creates a more stable social pattern than freedom without equality. Poverty when coupled with creativeness is usually free of frustration. This is true of the poor artisan skilled in his trade and of the poor writer, artist and scientist in the full possession of creative powers. Nothing so bolsters our self-confidence and reconciles us with ourselves as the continuous ability to create; to see things grow and develop under our hand, day in, day out. With a fading of the individual’s creative powers there appears a pronounced inclination toward joining a mass movement. Here the connection between the escape from an ineffectual self and a responsiveness to mass movements is very clear. The poor who are members of a compact group—a tribe, a closely knit family, a compact racial or religious group—are relatively free of frustration and hence almost immune to the appeal of a proselytizing mass movement. The less a person sees himself as an autonomous individual capable of shaping his own course and solely responsible for his station in life, the less likely is he to see his poverty as evidence of his own inferiority. A member of a compact group has a higher “revolting point” than an autonomous individual. It requires more misery and personal humiliation to goad him to revolt. The cause of revolution in a totalitarian society is usually a weakening of the totalitarian framework rather than resentment against oppression and distress. Hoffer’s discussion of the Free Poor is particularly striking. The wide and populist demand for various government welfare programs for instance, whether by the administration in power or by traditional opposition parties or by rebel groups, is a move towards instituting forced equality in society. And many poor people and non-poor ideologues and lobbyists like the various consultants on “fighting poverty” programs go along with this tide. The LRI event will be followed by the Economic Freedom Network (EFN) Asia Conference, to be held in Crowne Plaza Hong Kong Kowloon East Hotel, November 5-7, 2012. The theme, How Welfare Populism Destroys Prosperity, is very timely with what is going on in Europe, North America and many Asian economies. This big conference will be sponsored by the Friedrich Naumann Foundation for Liberty (FNF) and co-sponsored by LRI. This writer will attend as one of the workshop panel moderators. The big danger of populism and welfarism is to homogenize and standardize people, to reduce diversity among them and limit people’s spontaneity and innovation and in the process, to drastically restrict individual freedom. Each successful innovation and creativity by individuals as a result of a free society will result in more inequality among the people, something which is looked down upon by the politics of envy. Carlo Lacanilao What this article failed to mention is that this is the very economic framework that sets the objective structural barriers to achieving prosperity; and - while, shifting the blame on the poor - forgets that poverty in itself shapes, conditions, and constrains, individual freedom and responsibility. Nonoy Oplas · More on "shifting the blame, and credit, on the individual", rich and poor alike, not just the poor. Lean Porquia · Time and again, economists failed to see that the Philippines does not have material conditions to become industrialized. Look at the policies implemented and how they affect millions of poor Filipinos (contractual status, export-labor policy, value added tax, two-tier wage system, privatization of social services). The stubbornness of the current system is the biased favor for the entrenched wealthy elite rather than protect the interest of the majority poor people. The key in resolving the problem, turn it upside down. Nonoy Oplas · It is often easy to blame all other external factors and excuse the individual for his accountability to himself, his family and community. And precisely why central planning in labor, trade, other policies do not jibe with encouraging more entrepreneurship and individual creativeness. Lean Porquia · Individual accountability is actually enshrined in collective and centralized planning. Has every individual performing for the economy. The thing with your point that it does not jibe with encouraging entrepreneurship is actually persistent in the current status quo. 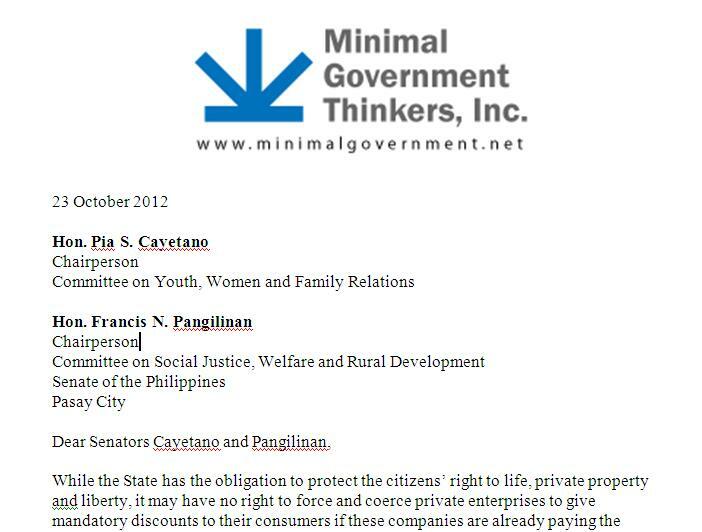 Bakit po ba, well protected and small and micro entrepreneurs with the kind of policies implemented right now? It's very ironic that your idea is very much conservative to the point that even European countries are turning against trade liberalization and is gearing for protectionism. The only countries who survived the recent crisis are those with solid centralized economic planning. Please consider that. Nonoy Oplas · Yes, much of Europe is protectionist, there is free trade only among EU member countries. Protectionism or central planning in international trade, restricts or kills individual freedom. Imagine a situation where there is a national or Filipino cell phone manufacturer and the PH government will restrict importation of iPhone, Samsung, HTC, other foreign brands. It will be a very lousy situaton. We are lucky that such type of protectionism is non-existent in our economy. Carlo Lacanilao Nonoy Oplas: Granted that that there has to be accountability attributed to individuals but, we know for a fact that, it is collective action that changes society (history) - not individuals. So we go back again to the economic providing hindrances to the achievement of individual creativeness by restricting the spread of mass development and by doing so reserves the fullest of development gains to the benefit of the very few. "Protectionism or central planning in international trade, restricts or kills individual freedom" <- It's a flimsy assumption that a planned economy will be inefficient considering how meticulous major corporations are when it comes to their own business plans. Planning is not an an end in itself but a means to determine what is essential. The freedom - that word again - to determine by social need rather than the bottom line. To produce more hospitals or more rice or more corn rather than cellphones. Under Hayekian economic libertarianism this is left to those whose drive and interest is solely motivated primarily by profit. Nonoy Oplas · Where there is more central planning, there are more problems than solutions. Look at healthcare: there are hundreds of govt hospitals (under DOH, UP PGH, AFP hosp., provincial hospitals, city govt hospitals), there are tens of thousands of govt. rural health centers, there is government health insurance monopoly (PhilHealth), thousands of DOH-sponsored Botika ng Barangay, there is drug price control policy, there are free medicines for the poor, etc., and yet health problems are never ending. Compare that in the food sector: there is not a single government restaurant or carinderia, no government supermarket or grocery store, and yet people are eating. The big difference? There are rigidities under central planning while there is flexibility under free market. Someone eating a P20 spaghetti in a carinderia does not feel that he will die or will get food poisoning compared to someone eating a P200 or P500 pasta in a fine resto. Carlo Lacanilao It is not the number of hospitals that's causing this problem. It is how these hospitals are managed based on the budget being given compared to other spending (military, debt-servicing, and other palliative programs). Cuba with its economic embargo has a very low if not the lowest child-mortality rate. Let's look at Sweden where, although private healthcare exists, is still mainly funded by the government: "life expectancy at 79/83 for men/women; 5% are aged 80 and above compared to EU member states; maternal mortality at 6 out of 1,000 babies and fewer than 1 out of 100,000 die in birth." I don't even understand your pasta economics. What is certain is that there are fewer and fewer individuals who can afford that 20-peso spaghetti in a carinderia - preferring the 7 to 10 peso chicken or beef noodles - how much more the 200-500 peso kind. If you think that won't add to the health problem, then who are we kidding? Nonoy Oplas · Sweden, UK, Germany, US, France, etc., they hold on economically despite heavy public debt and expensive welfarism mainly because of their adherence to the rule of law. In countries where rule of law implementation is weak and where rule of men rather dominates -- like the PH and many other poor countries -- having more and big government often leads to more wastes and corruption. That is how the free market fills the gap of large scale government failure. Maintaining peace and order, protecting private properties, is mainly a government and police function. But in PH, the ones who guard our schools and universities, malls and shops, airports and seaports, villages and condos, hospitals and banks, are ALL private security agencies. Without this market-supplied security scheme, the country could be more underdeveloped as criminality and robbery will be rampant. Systemic economic issues will not be resolved by more of the same policies which engendered the problems in the first place but by recognizing that such a system no longer works. It will require more than market reforms to correct this. Also, the main argument remains: it is the current economic policies (neoliberalism) that has riddled the world not just in the grip of one crisis after another under the illusion that markets correct themselves (failing to underscore that the correction in itself is planned and was made possible due to the heavy bailout from govt); it is this economic libertarianism that has perpetuated poverty at the mercy of multinational corporations and investment bankers. Truly, in this state of things, they are the ones who are most free. 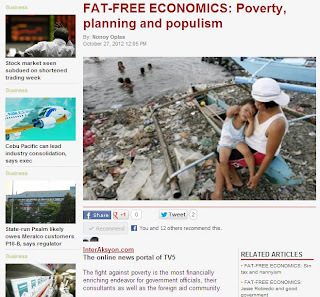 Lean Porquia · Nonoy Oplas centralized economic planning does not equal to restriction. that's the failure of your argument. 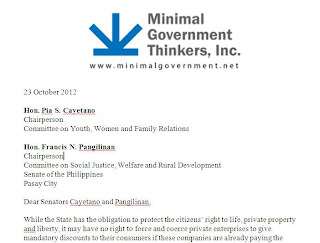 Nonoy Oplas · @Carlo, have to cite cases where central planning fails and where free market succeeds. To add more examples and cases: No government shirts and clothing corporations, no govt shoes and sandals corporations, no central planning how many running shoes, basketball shoes, golf shoes, cycling shoes, at what designs, and yet the market provides. Those who over produce at little demand lose money, those who produce at high demand make lots of money. Corporate expansion and bankruptcy are 100 percent part of business risks and market competition. Capitalism without failure is like religion without sin, that is why any form of government bail out to failing corporations is wrong, more statism than free market. @Lean, central planning also means the government will confiscate certain percentage of our income and savings -- prevents us from spending more of our own money where we really need them -- and govt will give such money to cronies or wasteful govt corporations which tend to lose more than they earn. Meanwhile, I posted this poster in my facebook wall with this note, "Right. A bright idea does not need coercion to get implemented. An idiotic or moronic idea does." 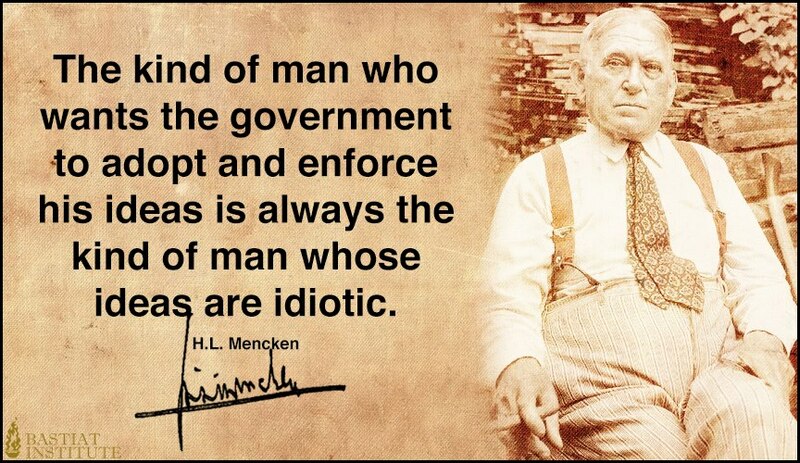 That is why central planners love coercion and government enforcement. Whether people like their idea or not, they have to obey that idea, they have to finance that idea, even if it is an idiotic one. Take, for example, Obama's idea to produce an electric car. GM took the challenge only because they are (were?) partly owned by government. The Volt came into being at much fanfare. Last time I heard, it's still not selling. If it were really a good idea, it would not have required government incentives or prodding. Obama promised that products that are good for the environment are not only good for the environment, they are supposed to provide jobs. Solyndra, a solar power company, took in half a billion dollars of investment the Obama's administration. It went bankrupt, leaving the taxpayers with a hefty bill to pay. As of this writing, Hurricane Sandy is still approaching the US East Coast. 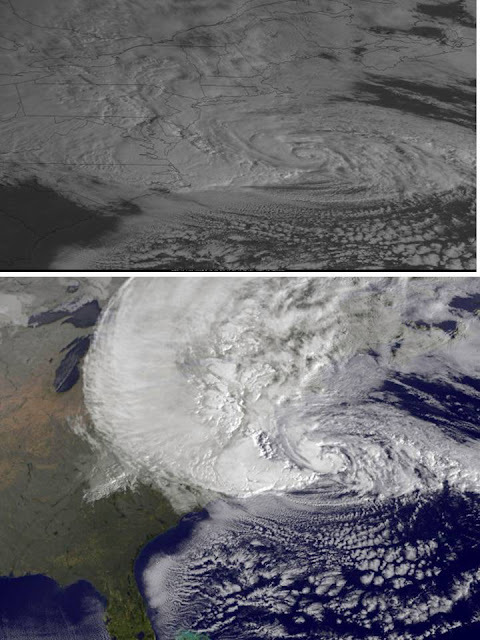 I got these rather scary satellite photos showing the eye of the storm, various sources from the web. 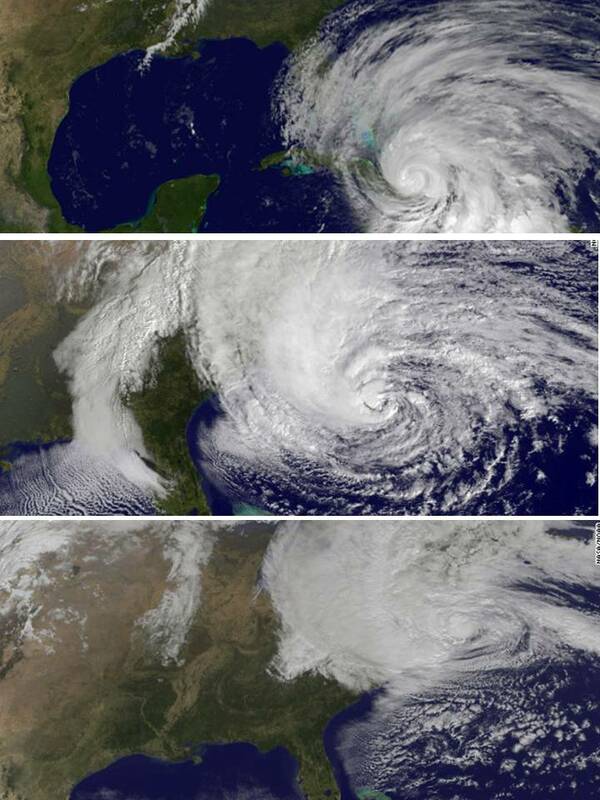 Sandy as of last Wednesday, Sunday, Monday, respectively. 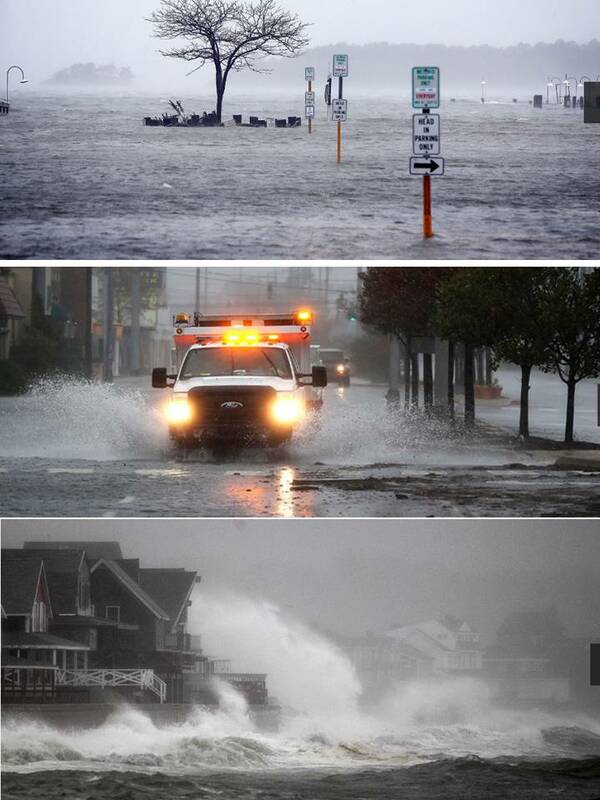 From CNN photos. Below, upper photo, not sure if this is a real photo or simply photoshopped, but it shows the potentials of heavy rainfall in the area. 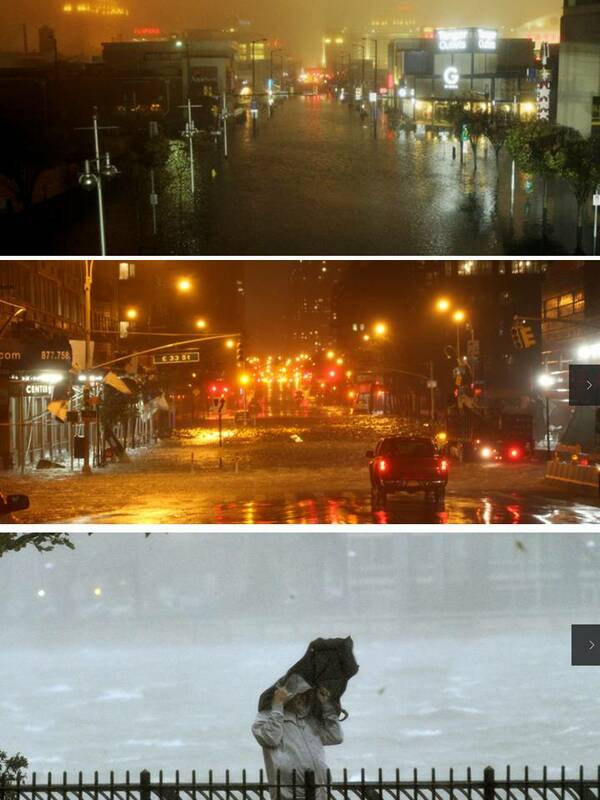 Lower photo, a portion of Manhattan flooded. The shows the big problem if healthcare is heavily nationalized or monopolized by the government. When this happens, even if the strike is only for one day -- five weeks in the recent case of Peru -- the most affected are the poor, not the rich, not the government officials, not the politicians and legislators. So If the DOH hospitals will have problem with their financial condition, the other hospitals and their doctors are not directly affected and hence, patients can go to these alternative hospitals. It is universal healthcare (UHC) -- not government monopolization of HC, not drug price control -- that will provide health insurance to the poor. And UHC need not mean government monopolization or nationalization of HC. The important thing is that EVERYONE should have a health insurance card, whether via PhilHealth or LGUs or HMOs or NGOs/charities. We need more diversity in HC providers, not less. Hence, not monopolization or nationalization of HC. Meanwhile, here's a related article from Reiner Gloor of PHAP in his weekly column in BusinessWorld. It covers some old and new proposals how to expand "Health Financing" in the Philippines, like making PhilHealth contribution be based on income and not a fixed amount. Personally, I am not in favor of this proposal. First, it will further expand PhilHealth towards monopolization and nationalization of HC. Second, those who have large income but do not declare such -- many businessmen, professionals, criminals (both public and private), etc., will contribute little or nothing, and we fixed income earners will subsidize them? Then there are the personnel and consultants of foreign aid, multilateral and bilateral agencies (UN, WB, IMF, ADB, USAID, JICA, EC, etc.) who are not covered by the mandatory withholding tax on their monthly personal income. Many of them do not declare their income, or declare at highly understated amount. We fixed income earners from the private sector will subsidize them as well, even if their average salaries are several times larger than ours, tax-free? EVEN WITH the robust economic growth in the Asia Pacific region, the World Health Organization (WHO) observed that people suffer financial catastrophe and are pushed to impoverishment because they have to pay for their own health care. In-fact, out-of-pocket payments push 100 million people into poverty worldwide every year because they have to pay for health services directly. The Philippine health care system is not exempt from high out-of-pocket expenditure and its impact on health and economic outcomes. The Family Income and Expenditure Survey disclosed that of the P100 spent for healthcare, P54 is paid directly out of the pocket of a Filipino patient. In relation to this, a Social Weather Stations Survey in 2010 revealed that respondents would pay using his own money, would solicit funds or even borrow money just to pay for health services. But for the poor, they forgo health services to give way to other household priorities. They are the poor who have been identified by the National Housing Targeting System as belonging to the 5.2 million families who live below the poverty line. They are also those who spend two thirds of their income on food alone followed by shelter and transportation. Dr. Ramon Paterno of the National Institutes of Health at the University of the Philippines, raises the point that people should not go bankrupt just because they are sick. He calls to attention the high proportion of health expenses that patients spend “out of their own pockets” -- amounting to 54% when the recommended rate is 20% to 30%. Developing financing strategies to help fund health and achieve universal coverage where people will have equal access to health services is one of the objectives of the government’s universal health care or Kalusugan Pangkalahatan (KP) agenda. The WHO said that “health financing is concerned with how financial resources are generated, allocated and used in health systems.” Health financing focuses on how to move closer to universal coverage by raising sufficient funds for health; overcoming financial barriers that exclude many poor from accessing health services; or providing an equitable and efficient mix of health services. As part of the Department of Health-led Secretary’s Cup, issues about health financing are being brought to light this month. The importance of this discourse is underscored by the health outcomes in the Philippines that continue to show gaps in health care between the rich and the poor. One of the issues to be discussed is the proposal for PhilHealth premiums to be based on capacity to pay. One of the principles of social health insurance system is solidarity where one’s contribution is based on his ability to pay. In this scheme, the rich contributes more, while the poorest of the poor are subsidized completely. In the present system, members with incomes of P30,000 and up pay a maximum of P750 monthly contribution. If the salary cap would be removed, those earning more will pay more than the current P750 monthly contribution. Another proposal for consideration is that all Filipinos should be considered covered by PhilHealth by virtue of citizenship. If we shift to a tax-based system, people born before and after the policy is implemented must be covered. It could likewise extend to long-term residents who may be contributing premiums and paying taxes. The primary goal of universal health care is to provide universal coverage to all Filipinos. On the other hand, discussions are needed if membership to PhilHealth would be made automatic. Some say that the move would encourage non-compliance with payments. Others argue on the basis of fairness in relation to formal employees who will then have to shoulder the costs of health care even for those who choose not to contribute. Another issue for discussion is PhilHealth’s allocation for mass-based health prevention interventions. Health is seen as a continuum from promotive, preventive, curative, and rehabilitative care. There have been calls to move beyond the “curative” framework of health and include all four in a comprehensive health care plan. If this is so, should PhilHealth use its capital on preventive and promotive care? On the other hand, some cite concerns that PhilHealth may overextend itself. For more information, log on to www.phap.org.ph, www.phapcares.org.ph, or joingwww.facebook.com/people/Pharma-Phap/. E-mail the author at reiner.gloor@gmail.com. The fight against poverty is the most financially enriching endeavor for government officials, their consultants as well as the foreign aid community. Trillions of dollars of taxpayers’ money every year are being siphoned off from the income and savings of the more productive sectors of societies in different countries, and diverted to the coffers of governments and multilateral institutions, before the monies are channeled to hundreds of different agencies and bureaucracies, for distribution to the poor. The most elaborate and the grandest central plan to fight poverty worldwide is the Millennium Development Goals blueprint by the United Nations, supported and implemented by governments, foreign aid bodies like the World Bank and Asian Development Bank, and many NGOs. By forcibly socializing and collectivizing resources and plans into the hands of those poverty fighters, individual freedom and responsibility has, directly or indirectly, been disregarded or even disrespected. On November 3-4, I will join a small group of free-market advocates from around the world who will gather at the Harbour Plaza Resort City in Hong Kong for a round table discussion on populism and the religion of “All Powerful Government.” The forum is organized by the Lion Rock Institute, Hong Kong’s first and only free-market think tank. The discussion would take off from The Road to Serfdom, a bedrock defense of free-market thinking by the Austrian economist and political philosopher Friedrich Hayek. “Perhaps the greatest result of this unchaining of individual energies was the marvelous growth of science. Only since industrial freedom opened the path to the free use of new knowledge, only since everything could be tried – if somebody could be found to back it at his own risk – has science made the great strides which in the last 150 years have changed the face of the world. The result of this growth surpassed all expectations. Wherever the barriers to the free exercise of human ingenuity were removed, man became rapidly able to satisfy ever-widening ranges of desire. “’Planning’ owes its popularity largely to the fact that everybody desires, of course, that we should handle our common problems with as much foresight as possible. The question is whether we should create conditions under which the knowledge and initiative of individuals are given the best scope so that they can plan most successfully; or whether we should direct and organize all economic activities according to a ‘blueprint’, that is, ‘consciously direct the resources of society to conform to the planners’ particular views of who should have what’. The LRI event will be followed by a bigger forum, the Economic Freedom Network Asia Conference, to be held in Crowne Plaza Hong Kong Kowloon East Hotel on November 5-7. With the theme, “How Welfare Populism Destroys Prosperity,” the forum will have several hundred international participants and will be sponsored mainly by the Friedrich Naumann Foundation for Liberty. Political populism - pandering to the lobby of the noisy sectors and to the deep desire of many politicians to win votes through welfarist programs - has created huge havoc in the fiscal condition of many governments. It has also caused more uncertainty in the global macroeconomic environment and has corrupted the attitudes and work ethic of many individuals. Many people now begin to think that for whatever social or economic issues, more government is the solution. And that is how many societies and governments have elaborately planned and created various “poverty-fighting” programs - from education and books to healthcare and medicines, housing and relocation, MRT subsidy and fuel discounts, tractors and credit, multiple business regulations and taxes on the well-to-do, cash transfers, and very soon, condoms and pills. It may not be a far out possibility that governments may soon introduce iPad and Samsung Galaxy tablets. After all, many governments and politicians are specialists in the “spend-tax-borrow” philosophy. By shelving more individual freedom and responsibility, by having more central planning and political populism, governments are contributing to poverty. 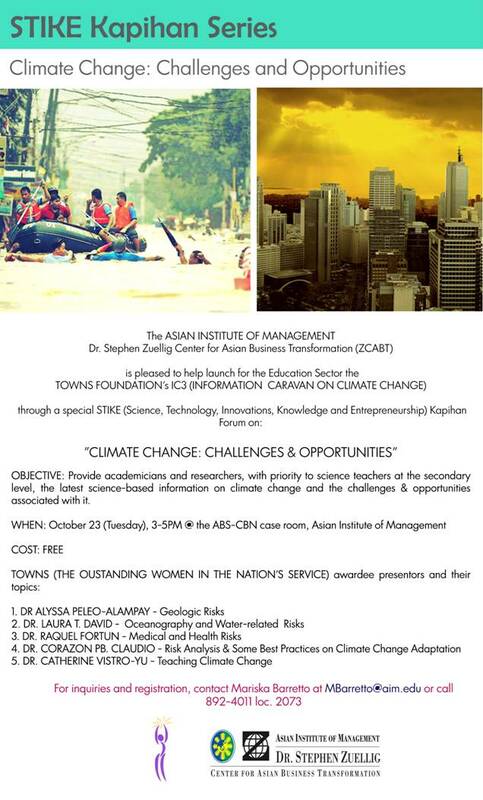 I attended this lecture this week, October 23, at the AIM. The five lady speakers all have good if not outstanding academic credentials. When I received the email invite from the organizers two weeks before the event, I asked them if they also have a forum that will debate, not sing alleluiah, over this anthropogenic (or "man-caused" or "man-made") global warming (AGW) and climate change (CC). I added that it is a huge scam, a scheme towards global ecological central planning. 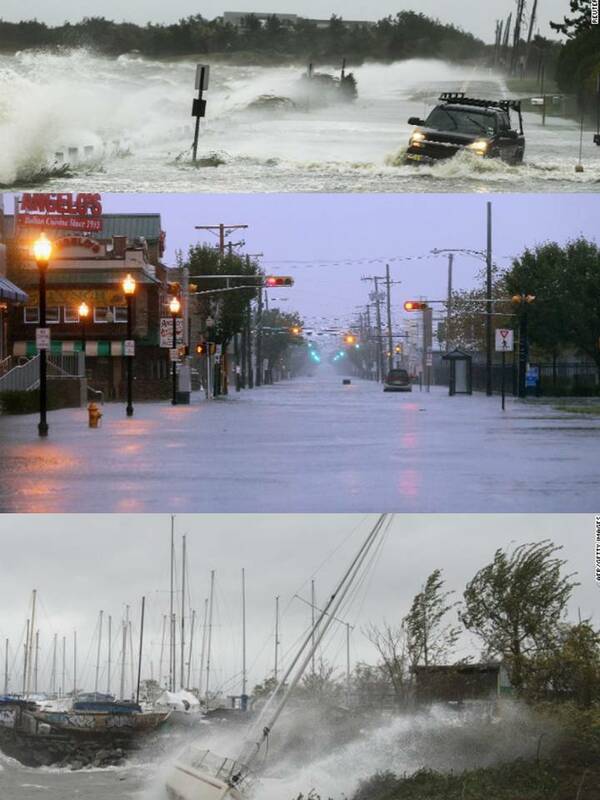 And whether there is less rain or more rain, less snow or more snow, less storms or more typhoons, less dogs or more dogs, they are all proof of AGW/CC. The proponents and campaigners of this claim, led by the UN and Al Gore, are simply intellectually dishonest and rent-seeking. Dr. Alyssa Alampay got her PhD (Earth Sciences) from Scripps Institute of Oceanography, University of California, and is currently teaching at the UP National Institute of Geological Sciences (NIGS). Dr. Laura David got her PhD (Physical Oceanography) also from the University of California, and currently teaching at the UP Marine Science Institute (MSI). Dr. Raquel Fortun got her MD and now teaching at the UP College of Medicine, Department of Pathology. She is well known in Forensics science, consultant for criminal cases. Dr. Corazon Claudio got her MS and PhD (Engineering-Econ Systems/Management Science and Engineering) from Stanford University. Currently President of the EARTH Institute. Dr. Catherine Yu got her Ed. D. (Math Education) from the University of Georgia. TOWNS President, she is teaching at the Math Department, Ateneo de Manila University. This is my letter to two Senators which I faxed to their respective offices late afternoon today. While the State has the obligation to protect the citizens’ right to life, private property and liberty, it may have no right to force and coerce private enterprises to give mandatory discounts to their consumers if these companies are already paying the required taxes and complying with various health and regulatory requirements. (B) TWENTY (20%) PERCENT DISCOUNT ON INFANT MEDICINES AND SUPPLEMENTS. INFANT SHALL REFER TO CHILDREN AGED 0- TO 4 YEARS. 1. They assume that all solo parents in the country are poor or financially distressed and hence, the need to give them mandatory discounts for their young children’s needs. This is not true. Some solo parents are rich themselves or have rich family members who can give them various assistance in cash or in kind. 2. They assume that all shops, manufacturers and traders that produce or sell these goods are rich or financially stable and hence, can afford to give such discounts without adversely affecting their financial conditions. Again this is not true. While some companies are financially stable, others are not or may even be in the brink of bankruptcy due to various financial, economic and social challenges here and abroad. 3. They assume that even financially unstable shops, manufacturers and importers of these products will continue selling these goods. This is wrong. One result of the implementation of RA 9994 or the “Expanded Senior Citizens Act of 2010” where senior citizens are given mandatory discount of 20 percent plus 12 percent VAT free or 32 percent effective discount on medicines, not tax creditable, is that small drugstores that cannot afford to keep selling medicines at a loss have stopped selling essential medicines to senior citizens. Those living in small and rural municipalities have to travel to bigger cities that are far away so they can buy at Mercury or other large chain pharmacies. 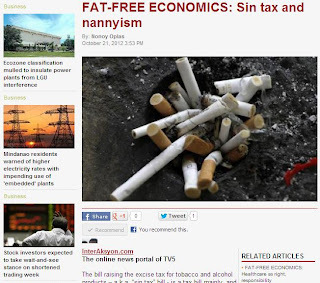 The bill raising the excise tax for tobacco and alcohol products – a.k.a. “sin tax” bill - is a tax bill mainly, and a health bill only second. It is a tax bill because its main goal is to raise revenue for the government, from a minimum target of P20 billion on year one alone, to a maximum target of P60 billion. It is also a health bill because its second purpose is to discourage more people from smoking and drinking more by raising the price of cigarettes and alcoholic products. Various studies cited by physicians and health groups who supported the tax hike bill show that many debilitating diseases that affect millions of Filipinos each year are directly or indirectly related to smoking. Hence, less smoking, less diseases. And that makes the bill plausible and worthy of public support. This writer is among the many supporters of the tax hike for these products. Certain sectors though go far beyond and suggest that the tax hike should be as high as possible while some suggest that cigarettes should simply be banned and prohibited, and government should not expect revenues from this “sin” and unhealthy product. And that is how governments become more interventionist because many people themselves are interventionists. 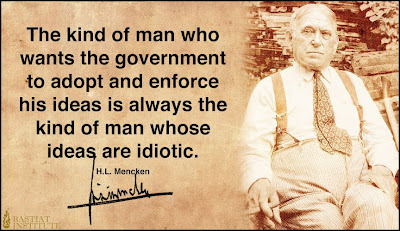 They have a particular worldview or opinion on how the rest of humanity should behave and run their own lives, so they concoct or devise various forms of regulations, restrictions and prohibitions. There is intolerance, explicit or implicit, in the diversity and spontaneity of the lifestyle of other people, so the “solution” is to invite and impose new regulations and restrictions by government so that the specific worldview as advanced will hopefully be realized. And so while this writer is in favor of raising the excise tax on tobacco and alcohol products, preferably with just one rate and not two or three, the public should also recognize that people own their bodies, not the government or physicians or media or anybody else. Thus, even if government will raise the price of cigarettes to P500 per pack, people who want to smoke will always find a way to smoke, like usingnga-nga, buy smuggled cigarettes, make their own cigarettes or sell low-keykarinderia type, and so on. And this brings us to three issues. First, banning and prohibiting the consumption of cigarettes is wrong and unenforceable. There are many services that are currently banned by the government now, like prostitution, dangerous drugs, jueteng and other forms of gambling. And the result is more corruption in government as all these services and goods are available in many places in the country. Government officials simply allowed these in exchange for huge bribe money. Second, using taxpayers’ money to subsidize the healthcare of people who deliberately abuse their body is wrong and economically distortionary. If many people will over-smoke, -drink, -eat, or -sit, and they become sickly later on, the rest of society should not be penalized by taxing them more, or denying the tax cut proposal. If those guys can buy lots of cigarettes and/or beer/alcoholic products, fatty food and drinks, and can afford to be couch potatoes, then it is assumed that they also have some resources to buy private health insurance to augment their Philhealth membership benefits. Third, potential revenues from the excise tax hike should be delinked from funding universal health care. The new tax revenues should instead be used to reduce the public debt, or reduce the programmed annual borrowings. Any savings in interest payment can be used to expand the funding for UHC. For 2013, for instance, interest payment is projected at P334 billion, up from P317 billion this year. If such spending can be reduced to, say P300 billion, the P34 billion savings in one year can be used for UHC and other social programs. Reducing the public debt and the high interest payment is possibly the single biggest anti-poverty program that the government can do. To achieve this, raising the sin tax is one measure, privatizing some government corporations like Pagcor is another, and cutting the budget of certain agencies is another measure. Of the three issues mentioned above, only the last two are problematic due to the nanny-state thinking in many sectors in the country. The first issue is not getting wide public support and this is a piece of good news. The second issue in particular is tricky. A friend asked (a) if sin taxes are issue of civil liberties, (b) if every adult citizen should have an unabridged right to smoke cigarettes and drink alcoholic products, and (c) whether we should valorize individual freedom above all other values. For this writer, the quick answer to the three questions is, yes. If people will say no - that government has the right to curtail an individual’s itch to smoke and drink as much as he wants, say inside his own house and not disturbing the neighbors - then they are implying that the state has jurisdiction and even ownership of a person’s body. If that is true, then the government will have the “right” to prevent or restrict other people from eating fatty and oily food, carcinogenic food, as their healthcare later on will be assumed by the government. Or the government can also restrict or prohibit people from climbing steep mountains, trees and rooftops because if they fall, their treatment will fall again under public healthcare spending. People should recognize that they do not own other people’s bodies. Let other people do what they want with their body. Since there are potentially adverse health outcomes, then let the people get private health insurance from various service providers -- NGOs, corporations, local governments, others. This is on top of the state-run Philhealth system. This way, the “negative externality” of people’s unhealthy or risky lifestyle will be internalized solely by them, and the rest of us will be spared more taxes and fees to finance more public healthcare spending. There is a limit to nannyism. As the world modernizes further, people’s lifestyles will continue to evolve. People should learn to be more tolerant of other people’s lifestyle evolution and modernization. And they should learn to protect their turf by opposing government moves to further socialize and collectivize their incomes and savings, purportedly to expand healthcare for others, including those who deliberately abuse their own body. Tobacco Tax 6: On Cigarette Smuggling, February 27, 2012.